Most privately owned vehicles need a regular WoF. This includes cars, utes, trailers, motorbikes, caravans and small trucks. If your vehicle is for personal use, is under 3,500kg, and you intend to drive on the road, this is the assessment you need. If you have a large vehicle, like a campervan or horse truck, and it’s over 3,500kg, you will need a Certificate of Fitness (CoF) instead. Next time you’re in, why not add a Basic Service* to your WoF for only $28. It’s the perfect way to ensure your car is reliable, safe and road ready. We’ll make sure that your battery is charging and your brake fluid is in good condition as well as 12 other key essentials of your vehicle’s safety and condition. *Oil and filter change not included. 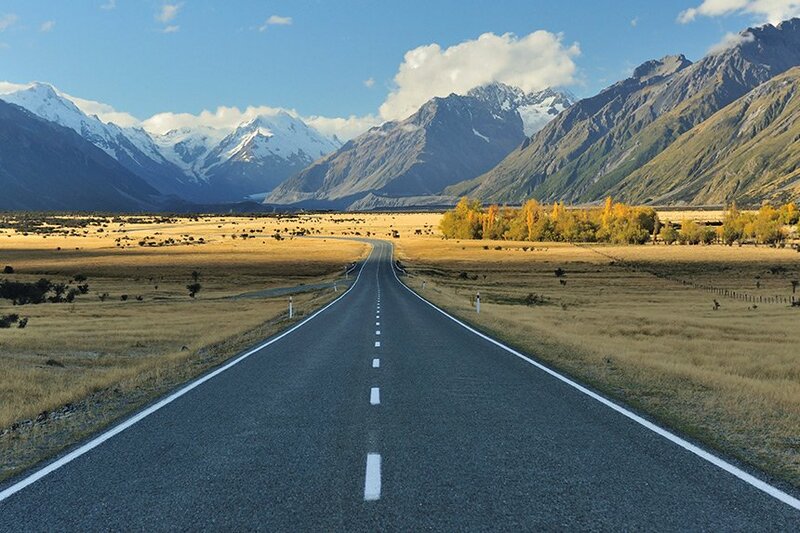 At VTNZ we want to get you back on the road as soon as possible. To help give your car the best possible chance of passing, take a look at our ‘Improve your chances of passing a WoF’ video. We’ll show you a few tips and tricks to help you get your car through its WoF and back on the road. Check all of your lights work. Check the indicators, park lights, brake lights, and headlights – both dipped and high beams. Get a friend to help you or park your vehicle next to a window so you can see the reflection of the lights. Got a blown bulb? Bring your car in. We can replace most light bulbs on the spot. Check your windscreen wipers are in good order. Does your windscreen washer deliver water onto the windscreen with each sweep without patches or smudging? If they need replacing we can sort that for you during your assessment. Not enough oil can cause increased wear to your vehicle’s engine or cause it to seize up. Use the dipstick to assess how much oil you have. If the oil doesn’t reach the indicator mark on the dipstick, you need more oil. We can fill up your oil at the branch while you’re here - just let us know when you arrive. Before you arrive, check all the seatbelts are accessible for assessment, and have no tears or rips. And removing child safety seats and making sure any back seats are up will save you time. Make sure your car boot is empty. This enables us to easily check the spare wheel so you spend less time at the branch. It's best to leave pets at home if you can. Alternatively, take them for a walk while we carry out your assessment. No need to book. Just drop in when it’s convenient for you. Most branches are open weekends, but Saturdays are our busiest time, particularly between 10am and 12 noon. Our quietest times are usually weekdays from 9am to 10am and 2pm to 3pm. Simply drive in and follow the lane markings. Park your car, take your keys and take note of your licence plate number. Walk in to reception and let us know you’ve arrived. When we’re busy, it really helps if you go back to your vehicle to move it up the lane queue until you get to the lane entrance. HOW MUCH IS A WOF? A Warrant of Fitness at most VTNZ branches is $63. While our Automotive Technicians are assessing your vehicle, you’re welcome to come in for a coffee, tea or water and read a magazine. Kids are welcome too. Talk to our staff about our weekday Drop and Go service. You can arrange to drop your car off at your local branch and leave it with us for a full or half day. We’ll give you a call when everything’s finished and ready to go. Please note that not all branches offer this service, so please ask our staff first if this service is available at your local VTNZ. If it’s something small we can usually replace it on the spot. 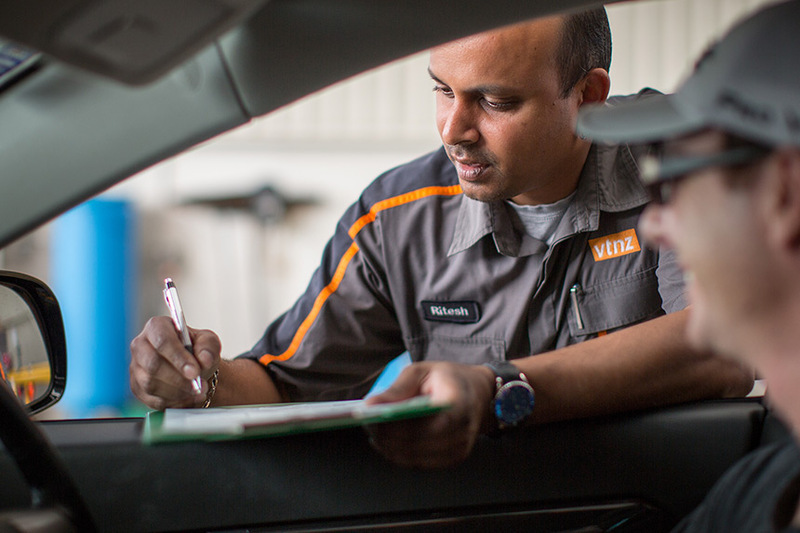 Our trained Automotive Technicians can replace most types of wipers, bulbs, and batteries. They can also adjust your headlights and top up the water, oil, and clutch and brake fluid. If something larger needs fixing, our Automotive Technicians will explain exactly what needs to be repaired and write clear notes you can give to your mechanic or garage, so you can save on repair bills. If you don’t have a preferred repairer, you can find contact details for local mechanics in our branches or ask our staff for some local options. Also MTA has a register of quality assured mechanics online you can check out. 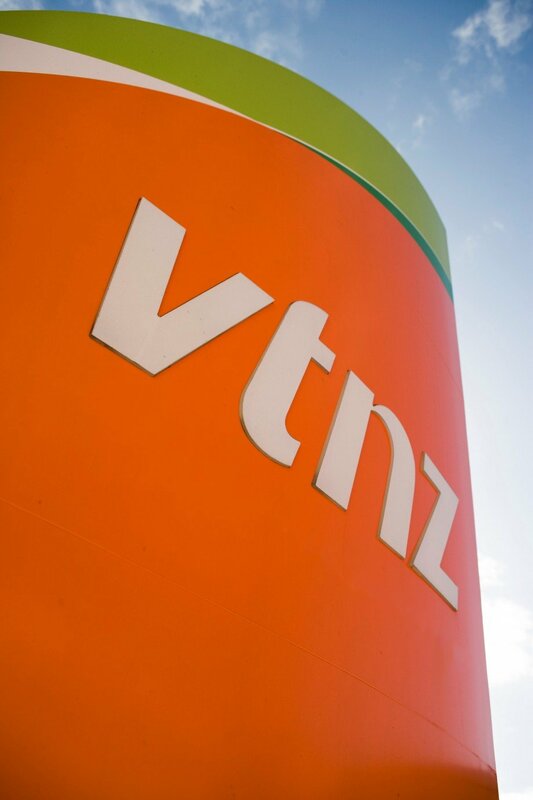 Visit any one of our branches with your VTNZ assessment sheet for a free re-check once your mechanic has repaired your vehicle and we’ll check the repairs and issue your warrant for free. This needs to be done within 28 days of your initial WoF assessment. How often do I need a WoF? The frequency of WoF inspections is based on the age of your vehicle. Check the table below to see how often your vehicle needs to be checked.